GOT7 earns themselves a rightful win on the OH! Chart with their latest release, “Lullaby“! Soloist Roy Kim rules over the digitals category, with his release “The Hardest Part” bringing in a score of 56,757,388 points. Another popular soloist, Punch, also gets some spotlight in this category, with her song “Good bye” earning her a total of 51,705,534 points. Sunmi lands herself in third place with SIREN, bringing in a total score of 50,074,718 points. In the digitals category, GOT7 take the lead this time with a grand total of 217,208 copies sold this week for “Lullaby“. Following after them is many membered girl group WJSN with “Save Me, Save You“, racking in a total 19,108 copies. “We Go Up” earns NCT Dream third place this week, totaling 9,697 copies for the mini album. WJSN dominates in the user votes category, with “Save Me, Save You” totaling 32 votes. The OneHallyu crowd also shows their love for GOT7, with 26 votes going towards “Lullaby“. The third place spot for the user votes category is tied this week, with NCT Dream’s “We Go Up” and Sunmi’s “SIREN” both earning a total of 19 votes! 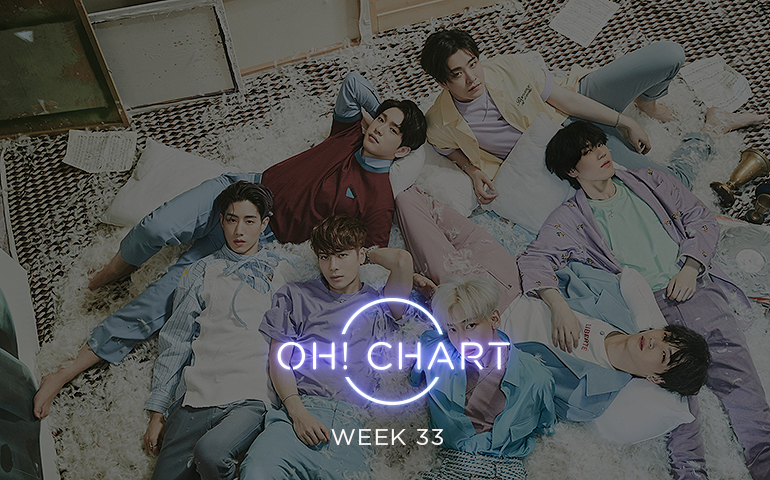 Taking first place this week is GOT7, with “Lullaby” earning the top spot on the OH! Chart podium. Sunmi is still going strong with her release, as “SIREN” lands her in second place. Finally, Roy Kim sits on third place with his latest single “The Hardest Part“. GOT7 earned themselves the #1 spot on the OH! Chart podium this week with their most recent release, “Lullaby“. Will they be able to claim the throne once again next week, or will another artist swoop in and take the prize? Let us know your thoughts and predictions in the comments down below!